Not everybody has the time and resources to enroll in a 2 or 4 year long college degree. This is where finance certificate programs come in. They allow you to acquire a blend of knowledge and skills that may help you get started with your career or expand your role and responsibilities in the organization that you’re currently working for. Therefore, the certificate program is appropriate not only for aspiring finance professionals but may also fit in well with the interests of working professionals. To further add convenience to your life, many universities offer online certificate programs. Why enroll in an online program? A degree in finance will help you get a sense of the dollars and cents. A certificate program in finance is an introduction to the management and evaluation of financial risks, financial banking, corporate governance and the financing of corporations. It is intended to provide students with an understanding of the role of financial managers within organizations, handling of personal and corporate finances, the methods they use for analysis of financial and economic data, and the use of financial models for decision making. Certificate of Finance is a one-year program with usually 30 credit hours. Most of the institutes offer three courses, one at a time, which takes around one year to complete. The credit hours can then be transferred to a diploma which is completed in another year. The duration of the program may however vary depending on the university that you enroll in as well as the route that you decide to take. You may be allowed to complete the program in a shorter time period by opting for accelerated coursework. On the other hand the certificate may take longer to complete if you enroll in a self paced program. The duration also depends on the level of certificate that you decide to pursue. You may find these programs being offered at the undergraduate as well as graduate level. The coursework in Certificate of Finance is carefully designed to prepare students for the corporate market jobs that demand a good knowledge of the financial trends and rules that govern the market. You will learn about fundamental financial theory and concepts as well as practical tools and techniques. There is no specific criterion for admission in Certificate of Finance but some level of prior knowledge of the field is mandatory at some educational institutes. Even though a high school diploma is not a requirement, basic knowledge of mathematics, economics and some legal aspects of business is only useful in the completion of the program. In order to graduate, you’ll have to attain a minimum grade in all the courses and fulfill the credit hour requirements. In addition, you’ll be required to pass an exam and in some cases complete a research project also. They guide individuals and businesses in their investment decisions. Financial analysts also evaluate the performance of instruments like bonds, mutual funds, and equities. Auditors are responsible for making sure that financial records of companies are accurate. They also keep a check on whether companies are fulfilling all their monetary obligations properly. They bring together buyers and sellers for the sale and purchase in financial markets. They identify potential opportunities and advise companies and individuals. They research and gather relevant data in order to determine the credit worthiness of people and businesses. Their primary responsibility is to hedge against the likelihood of dealing with bad debts. Q:What jobs can be pursued with the certificate programs in finance? A:The certificate programs in finance prepare students to pursue a variety of business careers including budget analyst, finance executive officer, financial analyst, or financial planner. The job titles earned by these professionals are mainly determined by their area of specialization and the accreditation of the certificate earned. Q:Which courses are included in the certificate degrees in finance? A:The certificate degrees in finance focus on introductory level courses such as principles of accounting, taxation, history of balance sheet, and corporate finance. These courses equip students with the basic knowledge, which helps them pursue advanced level courses and degrees in future. Q:Why is it important to select an accredited school for Certificate in Finance? A:It is important for you to go for an accredited school while considering a Certificate in Finance, due to some major reasons. Accredited programs offer quality education as they meet the standards set by the relevant accrediting agencies. Besides, employers also have a preference for graduates from accredited programs, as they usually link quality education with superior performance. Q:Are certificates in finance being offered online? A:Many online finance schools are offering short courses and certificate programs online. Students who are unable to attend campus based classes can still pursue their academic dreams through online courses. Online education has taken over the traditional learning mode and offers much more convenience and flexibility. These courses are also easier to cover and are self-paced. Q:Can you give me some tips to perform well in the finance certificate online? A:In order to learn effectively and perform well in the finance certificate online, you will require consistency and focus. Online programs offer a lot of flexibility and convenience but developing a study schedule is extremely important. Besides, you should go through previous lectures before starting a new one, practice exercises after class, take part in discussions, and read about the latest trends and practices of finance. All these efforts will give you an edge over other students. Q:How do I select the right school for online finance certificate? A:In order to select a suitable school for online finance certificate, you will need to list down the factors you consider important. It is generally advisable that you select an accredited school, find out about the reputation of school, go through the curriculum offered, read about the qualifications of faculty, and learn about the tuition costs as well. Once you have information on all these aspects, you can compare schools, and select the most appropriate one for yourself. Q:What is finance certification online? A:Finance certifications are short courses offered by schools. 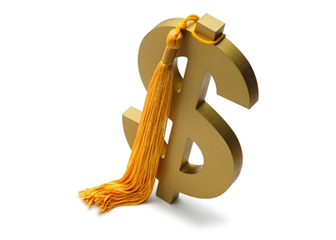 These programs are aimed at preparing students for finance-related careers. The coursework of finance certificates is career-oriented and entails a number of subjects that build professional skills. Students will acquire in-depth knowledge of financial principles, managerial finance, and relevant areas. Browse through our page for more detail. Q:Can you give a short introduction to finance? A:Finance can be described as the management of money by governments, companies, and individuals. This area is offered as a major at all levels of post-secondary education. A program in finance will help students learn about financial strategies, fiscal policies, management tools, and financial record-keeping. Finance is a constantly evolving field and is a key component of most organizations.